Michael A. Diamond is an up and coming author from northern Illinois, where he lives with his dog Zelda and the love of his life Emalee. The Mythos Division Series began in 2011 as a gaming blog. It evolved into a series of short stories based around characters who unearthed items of amazing power. 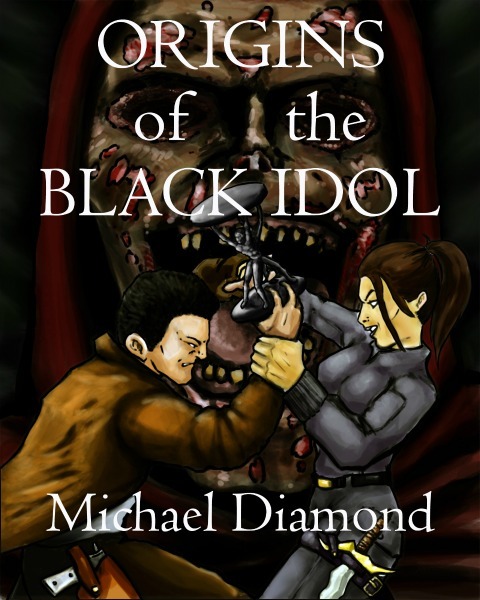 These tales led to the creation of Origins of The Black Idol, the first book in the “Mythos Division” series of novels. Shattered Gods arrived in late 2014 as the follow up to Origins, continuing the story which began in India. 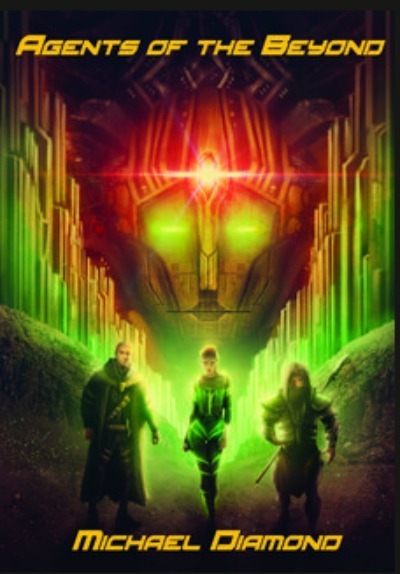 In the summer of 2015 Michael released Agents of the Beyond, a futuristic fantasy tale set in Monte Cook Games' world of Numenera. This book holds the distinction of being the one and only third party novel for the worldwide distributed gaming product. 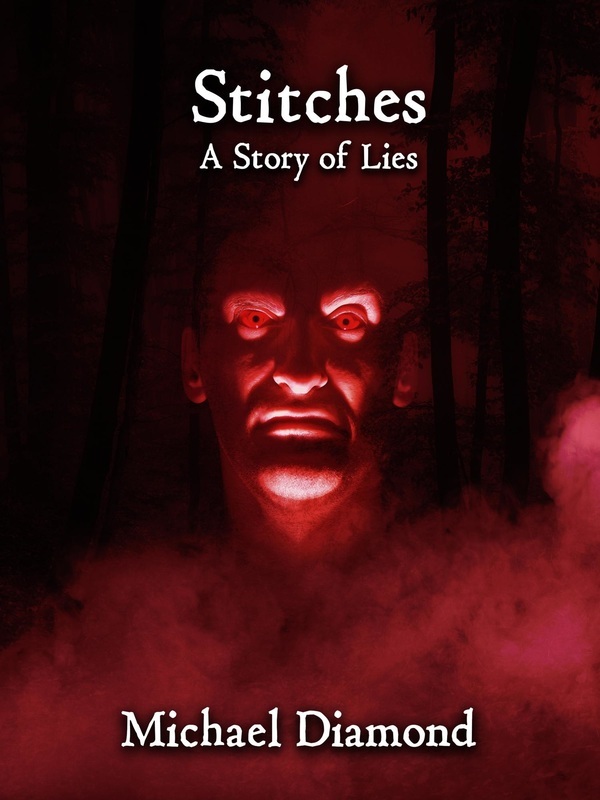 In late 2015 Michael is releasing Stitches: A Story of Lies, a present day story of one man's journey to the top of a powerful law firm. Postgraduate student and Renaissance man Julius Godom uncovers the legend of a mysterious artifact rumored to hold the key to human understanding. He sets off on a journey that will take him around the world to India during the Roaring Twenties, chasing the only thing that will quench his thirst for knowledge. Adventure turns to horror as Julius discovers he isn’t the only one searching for the Idol, and the power it contains may be more than what he’s prepared to deal with. But a shadowy coterie of assassins has other plans. Julius must navigate steamy markets, lush jungles, and perilous mountains to track down the Idol before it's used to unleash an ancient horror that will rip apart the world with its own carnal desires. When the Mythos Division receives word of an investigation gone wrong, Julius and his partner Pierce are sent to Germany in hopes of uncovering the truth. But all is not what it seems, and without warning they are thrust into a maze of political madness, where one wrong move could mean their end. Only after Julius is in over his head does he begin to realize what else lurks beneath the brick buildings of Munich. Without warning, shadows of the past reappear, and this time they are playing for keeps. On the windswept Plains of Kataru doom has come to the remote trading post known as The Beanstalk. Arriving at a most unfortunate time are two traveler, a young white haired jack named Aramon’del WIndrunner and his stout glaive companion Grom. Scavengers turned respectable traders, the duo have searched the northern Beyond for trinkets and wondrous numenera, all with the hope their hard work will lead to fortune. But a twist of fate eliminates any chance the two have at recovering enough shins for their trip back to the Steadfast, all while a newcomer confirms their suspicion about the local Aeon Priest. Forced to choose between allowing a deadly situation to unfold the duo act, and they are quickly pulled into a cataclysmic event which shakes the trading town to its very core. The mysterious newcomer, Syills, is revealed as a powerful nano from the north, who has been promised to King Falton of Nebalich. Enlisting the two men as guides, the new trio plumb their way through the vastness of the Beyond, believing themselves ready for what is to come. A twinkling jewel, the city of Picalah awaits them, yet safety will not be found there. Deep beneath the surface an ancient being slumbers, but a demented magistrate bent on ruling the Beyond has hatched a plan to shake the land its foundation. With an impressive heritage and powerful family law firm Jonathan Tulley has it all. but with the unexpected death of his father he finds himself spiraling out of control. The once unbeatable young lawyer, must uncover what made his mysterious father so successful if he is to claim the vacant senior partner seat. As Jonathan's enemies close in around him, he meets a mysterious woman named Atabey in the back alleys of Chicago, who holds the secret which can tilt the balance back in his favor - at a price. Stepping into a world of powerful voodoo rituals and inscriptions, Jonathan prepares to let his own inner monster out, forging the next steps of his destiny with unbelievable lies. The future of Tulley & Associates awaits the calculations of a man who has given himself over to the monster within.